Thus far this semester, we have been reading about the historic events that occurred in Harvard College in late 2003-early 2004 and in Silicon Valley during the summer 2004 leading up to the launching and subsequent explosive growth of Facebook (or “thefacebook,” as it was then called) and using these events to explore many different fields of business law, including such areas as contracts, unfair competition, and intellectual property. Now, for our last lesson, let’s fast-forward to January 2012, when our friends at Facebook conducted a massive (and secret) social psychology experiment on 700,000 English-language Facebook users without their consent. (Update: The scientific journal that published Facebook’s research later published an Expression of Concern but did not retract the article or impose any sanctions on the authors of the paper. 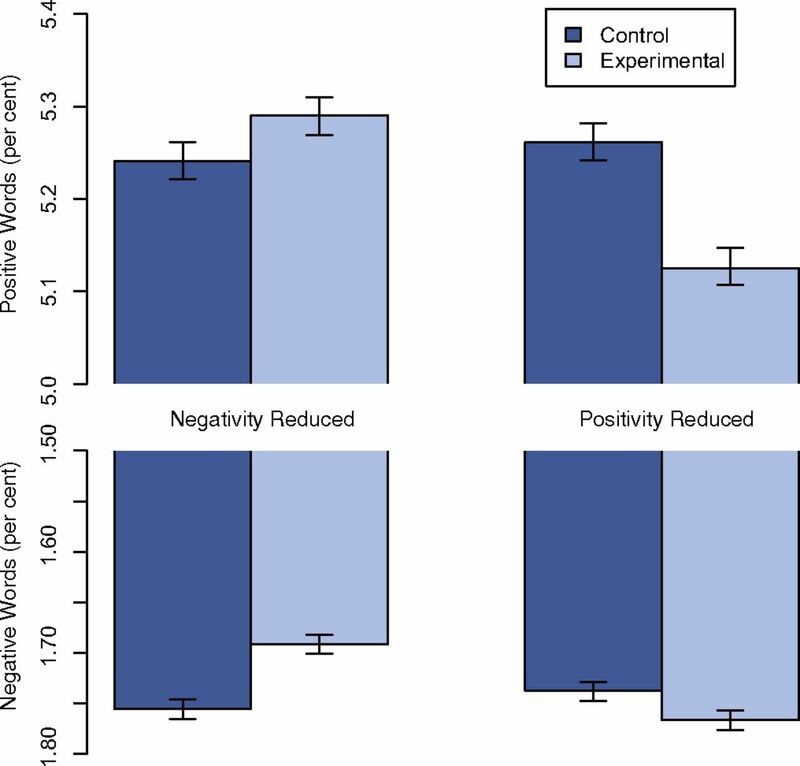 By the way, for what it’s worth, one Facebook user took matters into his own hands and conducted a “reverse-Facebook experiment.”) So, was Facebook’s secret psych experiment an ethical one? Were you in the control group or in the treatment group? This entry was posted in Ethics, Law, Web/Tech. Bookmark the permalink.